Our Birthday sash is the perfect accessory for any Birthday! One size fits most! 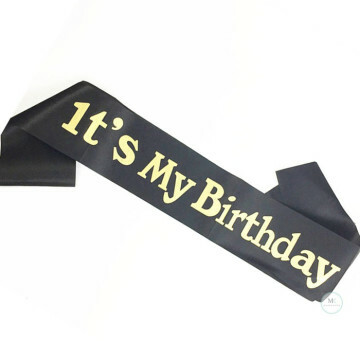 This Black fabric sash features a "It's My Birthday" headline. Our Birthday sash is the perfect accessory for any Birthday! One size fits most! 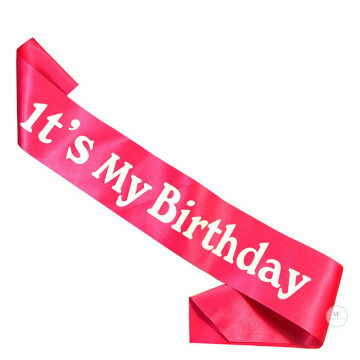 This Fuchsia Pink fabric sash features a "It's My Birthday" headline. Add this accessory sash to the birthday girl's outfit for her birthday party! Our Birthday sash is the perfect accessory for any Birthday! One size fits most! 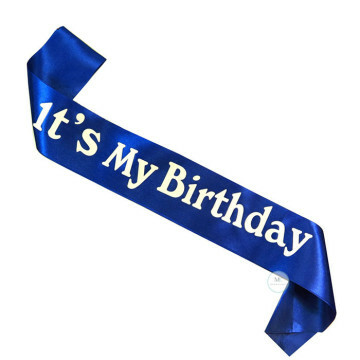 This blue fabric sash features a "It's My Birthday" headline. Add this accessory sash to the birthday boy/girl's outfit for his/her birthday party!